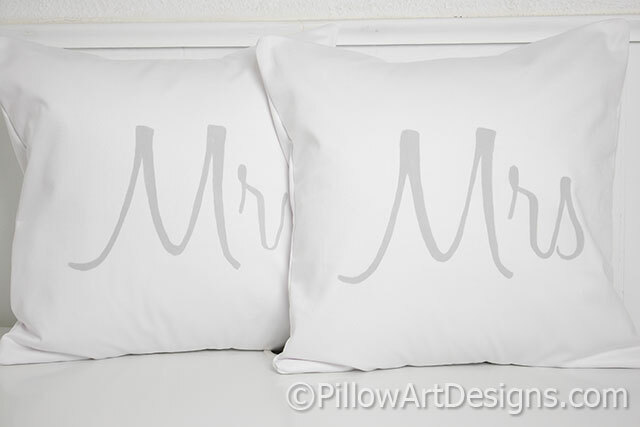 Mr and Mrs pillow covers made to fit 16 X 16 inch inserts (not included). 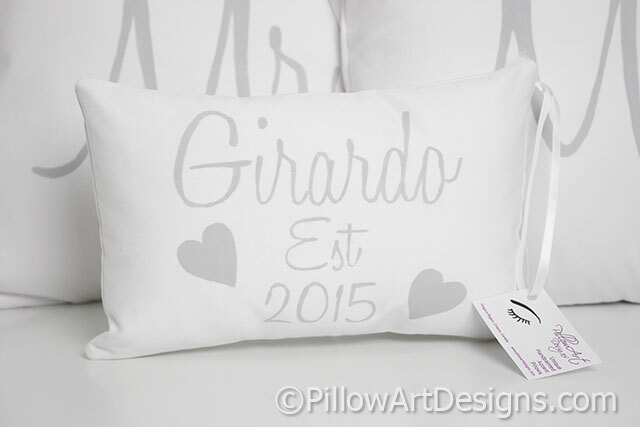 Made to order including mini pillow with name and date measures 8 X 12 inches. 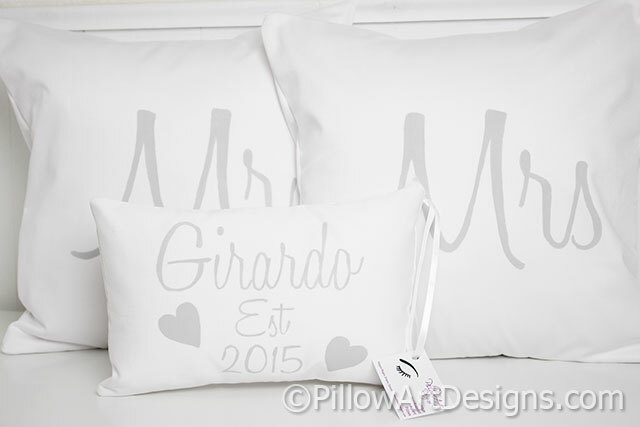 Mini pillow comes stuffed with hi loft polyester fiberfill (no need for an insert).